One of the more important stories to come out of this year’s CinemaCon is one that didn’t even get announced until more than a week after the show ended. By then anyone who follows such news was already well aware that the cinema exhibition software firm Vista Entertainment Solutions had acquired a stake in MACCS International, the developer of market leading distribution software. We’d like to summarize why we believe this is a significant industry development. As I noted just before this year’s CinemaCon, I have a great deal of respect for Murray Holdaway, Vista’s Chief Executive, and Derek Forbes, the company’s President of North America. Over nearly twenty years they, along with a growing team of smart executives, have taken the New Zealand based outfit from being a small player in a crowded field of cinema point-of-sale vendors to being the dominant exhibition software solutions developer in the space. In the process, Vista has left a wake of once prominent entities such as Splice and Titan Technologies. In all fairness, Vista still faces a field of new and perennial competitors. They include, though are not at all limited to, regional and worldwide entrants such as Allure Global, Compeso, Diamond Ticketing Systems, Jack Roe, NCR, Omnico, Omniterm, Ready Theatre Systems, Retriever, TicketNew, TicketSoft and Vendini. What has helped set Vista apart from some of these rivals is how the company has been able to think beyond its own systems and offerings to see opportunities in related or adjacent markets. They have managed to avoid pitfalls, even when enticing distractions beckoned with the promise of future riches. A great illustration of this would be Vista’s decision to not develop a theatre management system (TMS) for digital cinema installations. Such software is generally forced upon exhibitors by integrators and has become commoditized, save for a few solutions offered by Arts Alliance Media, Cinedigm and Unique Digital. At the same time, Vista has been adept at increasing its revenue through a series of wise decisions about building or acquiring product offerings that have expanded its customer base. For instance, the company developed Veezi as a cinema management and ticketing system for small and independent cinemas; a market it didn’t serve and one that couldn’t afford Vista’s current solutions. Their acquisition of 25% of MACCS International (with an option to acquire 50% of the company) is a perfect example of this mentality in practice. MACCS is a Netherlands based software company that has developed systems specifically for motion picture distributors. Like Vista, they have spent the better part of 20 years perfecting their offerings. Nearly 100 distributors all over the world use MACCS software to manage their workflow, content rights, logistics, financials and everything else having to do with their business. Similar to Vista, MACCS is run by some very smart individuals whom I’ve come to know and respect. The company was founded by Bert Huls and Mathieu van As, its CEO and CTO respectively. I can’t remember when I first met Huls and van As, because it was so long ago. I can tell you where I met them; at the Palais des Festivals in Cannes, France during the Festival du Film. Every year MACCS has a booth at Le Marché du Film (Cannes Film Market) in one of the most prime locations possible. They set up shop in Palais entrance to the Marché which means anyone coming or going into the market will pass by their stand. That is how I first discovered the company and learned what they were all about. It is where on more than one occasion van As gave me demonstrations of the latest software MACCS had developed. Each time I walked away more impressed than the last. MACCS systems are so comprehensive, with so many features, just glimpsing a few screens from the software makes all the buttons and nobs of a jumbo jet look like child’s play in comparison. 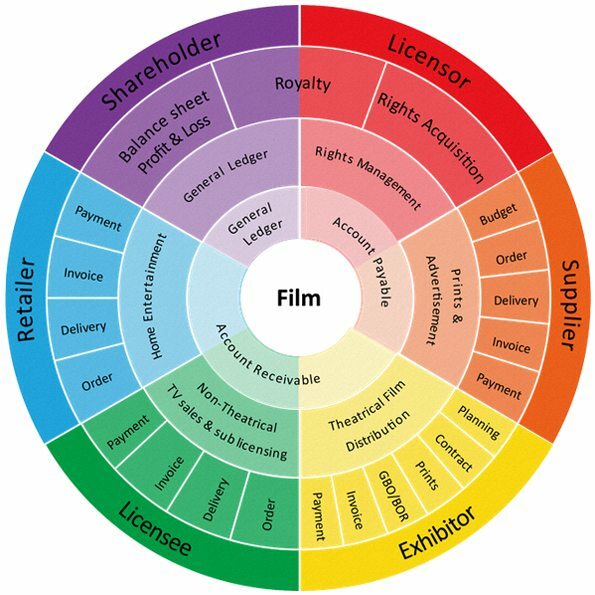 It’s not hard to see why distributors like Nordisk Film, Paramount, Sony Pictures, Village Roadshow and Warner Bros. all use MACCS software. Now, no trip to the Cannes Film Festival is complete without stopping by to see Huls and/or van As, something which has become increasingly more difficult due to the growth in demand for their products. The synergies and integration points between the two companies are obvious. Each has been laser focused on building offerings for narrow, yet different, domains in the same industry. Whereas Vista has built its reputation developing enterprise resource planning (ERP) systems for exhibitors, MACCS has created a name for itself by developing ERP systems for distributors. If we really wanted to get cliché (which apparently we’re about to do), it would not be wrong to say MACCS is the Yin to Vista’s Yang. The only other company that can claim to have similar solutions for both exhibitors and distributors is Cinedigm, which offers software to manage theatrical distribution, exhibition management as well as rights and royalty tracking. During CinemaCon this year I ran into Holdaway as I was checking into my hotel room at Caesars Palace for the week. He let me know Vista would be sharing some interesting news during the show. When, the very next morning, Holdaway told me the news about MACCS, sharing a draft of the press release that was eventually published on April 7th, he was well aware I’d know the company he was referencing and just how consequential the move is for both companies strategically. As Holdaway states in the release, he intends to make Vista “a major global provider of all software solutions to the film industry”. With deals like the one he has struck with MACCS, Holdaway (and Vista) is certainly a lot closer to achieving this goal. That would be one of the last times I saw Holdaway during CinemaCon, save for a quick meeting on his way out of Vegas. Every time I stopped in at Vista’s booth to find him, Holdaway was off meeting clients, partners and prospects with Forbes or Matthew Preen, (who heads up Veezi) or any of a number of growing personnel. In fact, one fresh face I ran into at Vista’s CinemaCon booth was not actually all that new. Jesse Chow used to be the Director of Business Development and Emerging Markets for Cinedigm’s software division. Now he’s the Senior Vice President at MACCS leading the company’s push into the Americas. Do you see what we mean by wise decisions?